In the 17th century, chintz sparked a true revolution in global fashion. And this Indian cotton fabric with brightly coloured botanical motifs was used not only for clothing, but even to decorate entire rooms. This revolution echoes on to this day, with fashion houses such as Mulberry and Gucci drawing abundant inspiration from these colourful designs in their 2018 autumn collections. The Rijksmuseum is exhibiting 30 objects that trace the development of chintz, showing how it impacted on fashion in the 17th and 18th centuries. The objects on display include chintz bonnets, wall decorations, oversleeves, dressing gowns, baby clothes, skirts, bedspreads and dresses. Other exhibits include items of clothing inspired by chintz and wood blocks that were used to print the motifs onto the fabric. 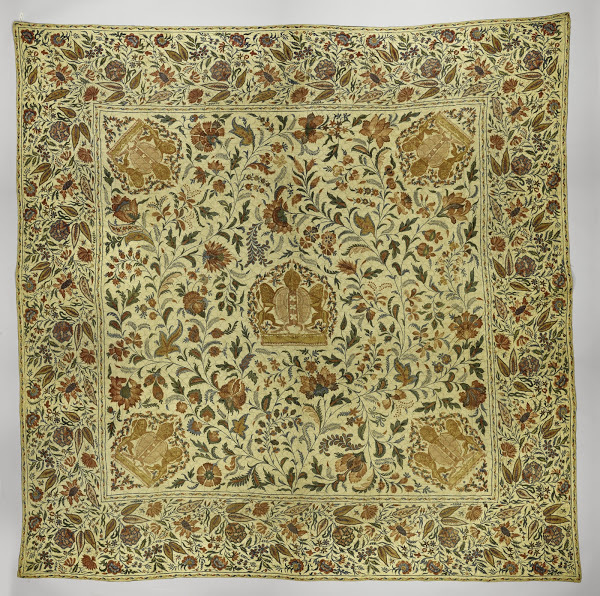 The highlight of the exhibition is an 18th-century bedspread decorated with the coat of arms of Amsterdam. Chintz: Global Textile runs until 21 July 2019 in the Special Collections gallery of the Rijksmuseum.